Dr. James L. Chestnut has been studying human wellness and prevention for over 30 years. He holds a Bachelor of Physical Education degree, a Master of Science degree in exercise physiology with a specialization in neuromuscular adaptation, is a Doctor of Chiropractic, and holds a post-graduate Certification in Wellness Lifestyle. Dr. Chestnut is also the author of ‘Live Right for Your Species Type’, which, along with his previous books, is considered the gold standard evidence-based argument for lifestyle intervention. Dr. Chestnut lectures at venues worldwide including colleges and professional conferences regarding lifestyle as the evidence-based foundation of wellness and prevention and 21st Century healthcare reform. Dr. Chestnut also holds an “O” visa from the United States which recognizes him as one of the world’s leading authorities on evidence-based lifestyle intervention for wellness and prevention. Dr. Chestnut’s efforts have touched many thousands within the natural healthcare community, and through this, millions of patients worldwide. Dr. Willard is the author of twelve books on the subject of Herbs including the pivotal Wild Rose Herbal Series – a series of three textbooks written to educate herbalists. Two of his books, Mind-Body Harmony and Dr. Willard Flower Essence: Emotional Alchemy and Spiritual Evolution, have been particularly popular with the general public. Terry has retired from clinical practice in 2015. He is a director of the Wild Rose College of Natural Healing, which serves both classroom and correspondence students around the world. 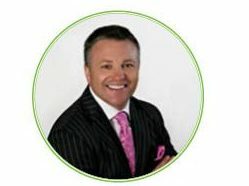 He lectures on the main lecture circuit to trade shows and MLM rallies, training sessions for the Health Food Industry, Pharmacy Industry, Mass Market Industry. He does many radio interviews and TV spots every year. Terry has semi-retired to an organic herb farm on Vancouver Island. Prevent colds, flus and other infections by boosting your immune system every day with natural remedies. With the rise in allergies, sensitivities, and autoimmune diseases, it is so crucial to help your customers balance and strengthen their immunity. Dr. Callas will use his knowledge as an ND to help show how Purica Suite in Immune support products will make a difference for your stores and most importantly your customers. 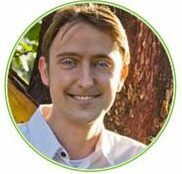 His discussion will educate attendees on the patented formulations of Prevent and Prevail along with the highly esteemed Purica Medicinal mushrooms and what key things set them apart for helping customers. Gerald Klassen has had a life-long passion for outdoor activity, and fitness. He was born and raised in the mountains of Nelson BC where he first developed his love of being physically fit in the great outdoors. In 1982, Gerald decided to turn his hobby into a career, where he opened his first retail business geared toward outdoor fitness, specifically cycling, running and swimming. He continued to expand his career by opening 5 more retail stores across the BC Interior. At the same time as Geralds’ now 6 retail businesses grew to include all forms of sport equipment and gear, Gerald never ceased to slow his own personal fitness pursuits as he competed in countless triathlons, cross-country ski races, marathons and Ironman races across North America. His stamina and boundless energy has inspired many to adopt an active lifestyle in the great mountains of the Kootenays and beyond. When asked by many if he ever takes a break from all his fitness endeavours, Gerald will respond by saying “No need to holiday, when everyday is a holiday right her in my own back yard!” as he is proud to call Warfield BC his home and the best gym provided by nature itself! Gerald is excited to share his knowledge of the area and all it has to offer! Chelan Wilkins graduated with honours from the Institute of Holistic Nutrition with a designation of a Certified Nutritional Practitioner and is a Registered Holistic Nutritionist and the National Education Trainer for Organika . 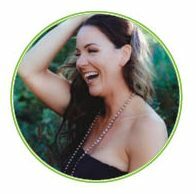 With over 5 years in the Health and Wellness Industry and current owner of her own nutritional practice specializing in Sports Nutrition and Women’s health, Chelan has gained extensive and valuable knowledge on the power of the healing benefits of whole foods, proper nutrition and supplementation through her education and own personal practice. Chelan believes in empowering others to achieve their optimal health and wellness through fueling their body with nourishing and whole foods and incorporating proper supplementation to prevent setbacks and deficiencies in the body. She is a huge advocate in educating those around her the benefits of establishing a positive and healthy relationship with food, the correlation of a healthy digestive tract and your health as well as taking charge of your own health through whole foods, lifestyle and positivity. Chelan also is a mom to 2 busy daughters , a sports junkie ( triathlon, yoga, mountain biking, skiing and dirt biking ) and a food lover ( Holistic food chef ). When time allows, Chelan is committed to various charitable societies and is a proud member of the North Vancouver Chapter, supporting equality, leadership and women’s rights in the workforce.